Ask (almost) anyone in PR these days whether you should have an active presence on social media if you're looking for a job in the industry, and they'll say "yes." While not every PR job uses social media at this point, most employers want to hire people who keep up with advances in the ways people communicate. After all, if and when their audiences "get there," they want to be ready. So, get online -- that's the message. But how much does it matter what you say? I've had a couple of interesting conversations recently with people who've discussed this topic with other people, whose position is that they should be able to say whatever's on their mind on social media. "I shouldn't have to edit myself -- social media is for expressing yourself." "An employer has no right to hold my opinions against me if I'm otherwise qualified for a job." Strictly speaking, that's true (within reason). But it's important to remember the importance of context. It's a fact that we all have the right to free speech (as long as it isn't hate speech). But it's also a fact that most hiring managers do online searches of job candidates -- and that they make judgments based on what they find. Just as an employer may decide you're not cut out for her corporate office if you show up for your interview dressed for a nightclub, she may make assumptions about your professionalism based on what she finds in your social media footprint. The online search doesn't take much time -- and if the employer finds you posting things she feels reflect poor personal judgment (e.g. trash-talking current or former employers or clients; expressing discriminatory opinions; appearing to prioritize drinking/drug use over professionalism, etc. ), she might just save herself the effort of going any further with the application. But if your social media "brand" communicates "I'm a loose cannon" or "I value partying over anything else" or "I discriminate against people for [insert reason here]," that says something to an employer. It says "I'm going to be difficult to manage, and I may create problems for the organization both internally and externally." Just remember: anything you post to social media is "out there" and can be found by a potential employer. Do you have a right to express yourself? Yes, you do. Does the employer have the right to choose job candidates based on her own judgement? You bet she does. If you're looking for work (in PR or anywhere), what the employer perceives trumps everything else. It won't matter what the circumstances were behind that series of tweets or Facebook messages or blog posts -- you may never be given the opportunity to explain the context for a posting that casts you in an undesirable professional light. You might send joking tweets which your friends know to be sarcastic -- but if a potential employer sees those tweets without knowing the context, they could lead to incorrect conclusions about your values and professionalism. Those incorrect conclusions could cost you a job interview... and you might never know what put you out of the running for a job you wanted. 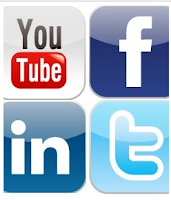 Many organizations have written policies on their employees' personal use of social media. "We are consistent in our standards, no matter what the platform, in disseminating information. If we would not put the information on air or on our own website, we would not use social media to report that information. ... We bring these principles and values to bear in our personal use of social media as well." That's interesting, Duncan. Thanks for sharing it! Prime example = Kevin Colvin. I once wrote a lengthy paper on this very subject and used Mr.Colvin as evidence of poor personal online branding/representation. I'm sure you've read the story- but if not, it's worth a Google. You'll laugh/cringe I'm sure. I'm sure Mr. Colvin loves it that this story jumps right to the top of Google rankings four long years later! I think it's interesting that so many commenters seem to focus on how Facebook caused him to be busted, making it a cautionary tale about being careful with what we post to Facebook... but not how maybe the best way to stay in good stead with your employer might be, say, not to lie about missing work! On its own, having that photo "out there" wouldn't likely do him much harm in a job hunt -- most employers understand that people sometimes go to costume parties, and that sometimes people drink beer (unless they're underage, of course). The problem here was that the photo suggested he had lied to his employer about why he was going to miss work that day. Now *that's* a problem! I've started editing myself since this whole topic was brought up in school and it bothers me every time. It bothers me because (I think) I understand the difference between offensive and goofy, but now just writing a bad word makes me second guess myself. Of course, I don't have this problem on Facebook because I use a fake name. But Facebook is a performance for my friends, while Twitter is a public performance and I don't like not tweeting something I think is funny. I can't imagine many employers judging you harshly because you have a sense of humour -- unless the sense of humour they see in your Twitter feed suggests you have opinions/positions/habits they don't think would be particularly helpful in their workplace. On the contrary, showing your personality on Twitter can help you; it can help an employer get a sense of who you are, beyond the resume (and see you're someone their team might enjoy working with every day). I made one social media faux pas when I was in school, but as they say, make your mistakes in school so you don't do them again in the work place. Melanie, I wanted to confirm to you that everything you told us about social media and how it affects a young professional's chances of getting hired are all true. Just today, I interviewed for a communications position and the Director brought up the issue of personal digital footprints. I told her I'm always careful and conservative about the topics I discuss online and she said, "I know. I Googled you. I've checked." The set of information presented in this post make this post worth to read and share as it is rich of content as well in information.